I have created a new HUD layout for the way I like to play. It's more combat centric, to my mind, with all the important stuff toward the center of the viewscreen. Shields are above the gunsight, speed to it's right and laser temperature to it's left. Either side of this are the Status indicators and further out the Station Space Indicators. Below the gunsight is the Missile Display. The Scanner is somewhat larger than the default with Fuel, Altitude, Cabin Temperature, and Energy Gauges to it's left. The compass, with integrated Pitch and Roll, and the Fuel Scoop displays to it's right. 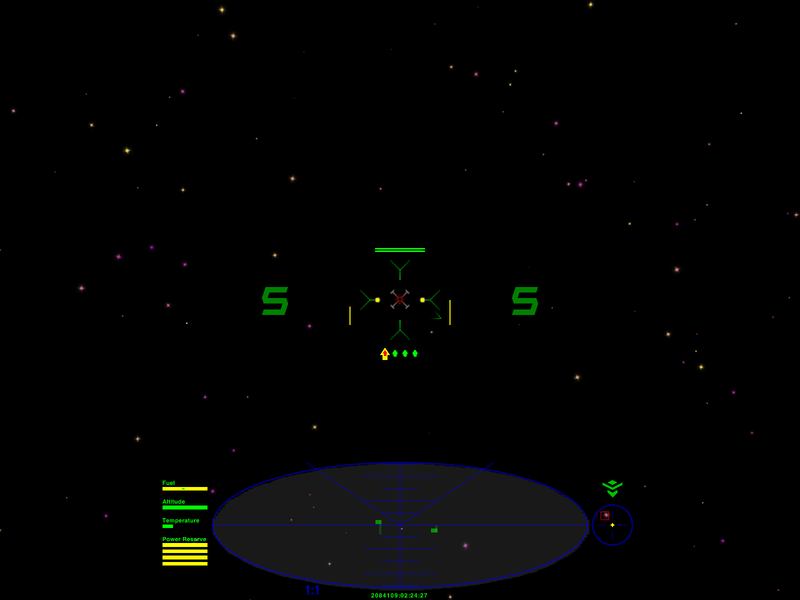 I've added the OXP and a screen shot to [HUD Images]. I still need to add it to the OXP List. This page was last edited on 8 July 2008, at 15:49.